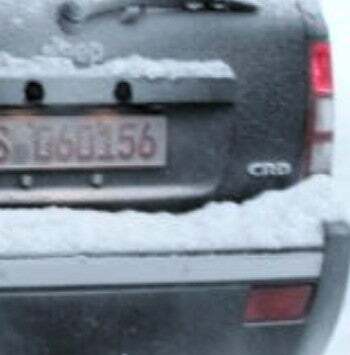 What's this familiar SUV spotted way the hell up in northern Scandinavia, near the Norwegian border? According to those familiar three letters, it's the Jeep Grand Cherokee Limited with the CRD Diesel engine. That's the Benz-built 3.0-liter diesel, producing 215 hp and 376 lb.-ft. torque. Chrysler announced last month the current CRD-powered model will have an MSRP of $38,475. According to spies, some bumper tweaks and seven-spoke wheels indicate this is the 2008 model, which will get a minor facelift over the current Grand Cherokee. Let's just hope they're not using the oil burner to smoke salmon for export.